BELECTRIC has taken over Konarka Technologies GmbH. AA American provide customers with ultra efficient products Heating and Standard AC Omaha that are environment friendly to minimize its effects on environment for the better future of the world shared by everyone. NEW PRODUCTS AVAILABLE AT THE LOWEST COST. ImagineSolar has announced that Ideal Power Converters has donated their photovoltaic inverter technology to the ImagineSolar advanced training program. 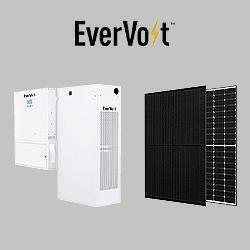 ImagineSolar will feature IPC's innovative inverter technology in both their PV320 and PV321 courses. This strictly B2B conference focuses on commercial opportunities and challenges brought about by the development of the bioenergy energy market in the UK, international co-operation in biomass trade, and project finance for bioenergy development in the country. This strictly B2B conference focuses on commercial opportunities and challenges brought about by the development of the bioenergy energy market in France, international co-operation in biomass trade, and project finance for bioenergy development in the country.